Fantastic Discount on price! BEST DEAL AVAILABLE ON WINTER PARK CHAIN OF LAKES! 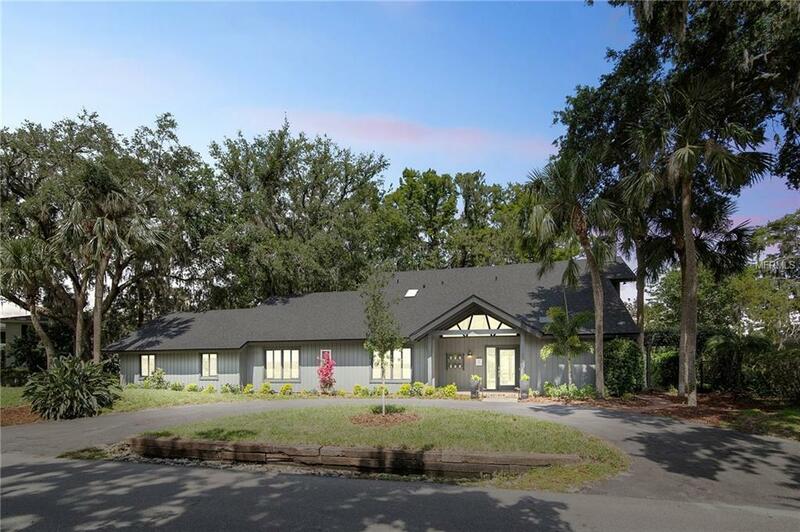 A Modern Lakefront Transformation on a quiet tree-lined street in the heart of Winter Park on the coveted Lake Maitland. The 5 bedroom & 4 bath home w/ office offers incredible lake views throughout. Thoughtful design was used when renovating, keeping the mid- century modern character & style while adding contemporary touches. The Great room makes a statement with soaring tongue & groove ceilings featuring spectacular exposed beams, refinished wood floors, floor to ceiling white-washed brick fireplace surrounding by built-in, a custom bar with quartz counters, rustic wood shelving & wine refrigerator. The spacious renovated kitchen hosts lots of custom refinished cabinetry, quartz counters, all new appliances, breakfast counter, custom built in pantry, subway tile backsplash, double sinks & a view, of course. Wake up to breath-taking vistas of Lake Maitland every day in the Master bedroom & enjoy a morning coffee on the balcony. It also features vaulted tongue & groove ceilings, a custom tiled fireplace, customized walk in closet & a newly redesigned bath with custom double vanity, new fixtures, new lighting & lovely designer tile. A cozy den connects 3 of the bedrooms offering additional living space with a renovated bath. The delightful Sun room provides a wall of windows overlooking the lake! Watch a sunset, try fishing or pull a boat, canoe or paddleboard up to new custom deck & enjoy Winter Park lakefront living!